Today was our last day in Florence. 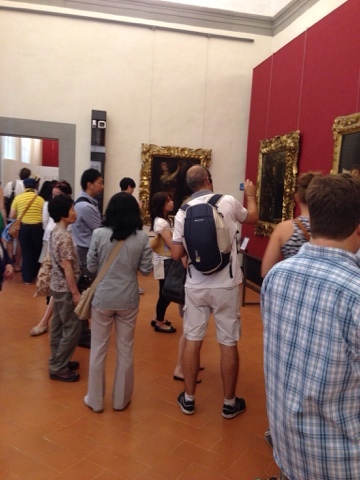 We spent the morning at the Uffizi, which has some of my favorite art of all times. 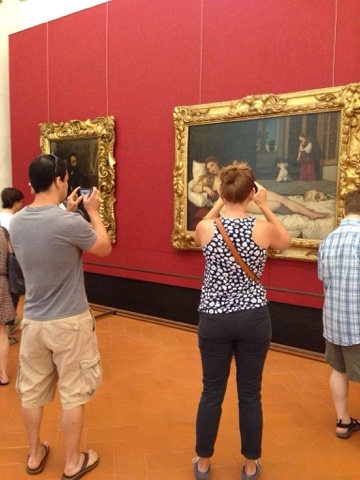 Maybe it was the crowds of tour groups tramping through that got to me, but I was peeved about people taking pictures of the paintings instead of actually looking at the art. Do we have to see the entire world through our iPhones and cameras? Of course, ironically, there I was taking photos with my phone of people taking photos.